Using his popularity and his craft, Dong gets out of his comfort zone to help out in various causes. Doesn't he just look more adorable in your eyes? 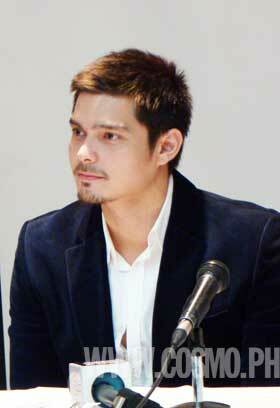 Dingdong Dantes firmly believes celebrities can do more than entertain. So, aside from acting in movies and on television, he supports several causes that empower the youth and promote nation-building. Now, how's that for a heartthrob with a heart of gold? Dingdong launched his own foundation last year, the Yes Pinoy Foundation. It was originally aimed to help the educational needs of children of members of the Philippine Marines. Eventually, the organization also became active in other activities, especially when typhoon Ondoy hit the country. After that, National Bookstore tapped Dingdong to lead its book drive called "Project Aklat." Then, late in 2010, the Kapuso actor was chosen by National Commission for Culture and the Arts to be its youth ambassador. Private organization Philippine Management Association of the Philippines also asked for his help to promote its “High Flyers” campaign, which aims to help fresh graduates improve their behavioral competencies. In a short interview with the 30-year-old actor, he expressed his gratitude toward people from private and public sectors who appreciate his personal advocacies. He said, “I’m very privileged dahil nagbubunga na rin lahat ng causes na pinaglalaban namin. Of course, nagsimula doon sa [Yes Pinoy] Foundation and now correlated na lahat ng mga sinasalihan ko at mga kumukuha sa akin. So now, we can help each other because the bottomline is, we are for the youth and nation-building. Since Dingdong has become more active in these kinds of projects, many are also curious if this is his way of preparing himself for a political career. But Dingdong said these moves have nothing to do with politics, which is not part of his plans for now. “Matagal ko na namang ginagawa ito at ngayon lang talaga nare-recognize at nagkakaroon ng concrete action,” he further said. Launch the gallery to see candid snapshots of Dingdong at a recent press event.